DRT Noise Reduction Technology (NRT) will eliminate the humming noise during braking. 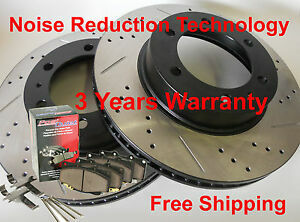 Conventional cross drilled/slotted rotor create harmonic frequencies (humming) during braking. In Noise Reduction Technology (NRT) the drilled/slotted patterns are machined 180 degrees from each other.